More often than not, the holiday season comes and goes in a whirlwind with activities and events that seem to fill every available hour. In some homeschools, schoolwork takes a back seat until January. Instead of carrying on with traditional assignments, time is spent on making crafts for gift giving or preparing special meals. But, is this ok? Should we feel remorse if we take “time off” from homeschooling to focus on the holidays? You will need to answer that question for yourself, but I suggest that if you’re struggling with an answer right now, then you need to think about what homeschooling means to you. Each family is unique and so is their homeschool. However, I feel most homeschooling parents would agree that one of the reasons they homeschool is to create a stronger bond with their children while teaching them in a loving home. So, how can you create a stronger bond with your children? How can you show your children that you love them? One way is by spending special time together during the holiday season. John 3:16 tells us that God loved us so much that he sent his son. That is something to celebrate and be thankful for! By engaging in activities that are not the norm, you are emphasizing to your children that the season is special and that they are, too. God loves them! Math can wait while there are cookies to decorate and smiles to share. Of course, if you really wanted to, you could plan to incorporate some fractions with your baking or some creative writing and art in your card making. However, your kids will be learning through everything they do, whether you document it in your planner or not. 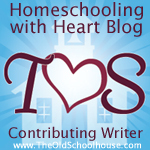 Homeschooling is more than just doing school at home. It is about coming together as a family to learn and encourage one another, to create a bond that will last and enable your children to have the strength to go out into the world to do God’s will. Don’t let the holidays pass you by without really engaging with your children. You don’t need to do everything or even lots of things. Doing too many activities can have negative consequences. Just take some time to share this wonderful season together.